Enabling a Digital Life...: Navigating the Maze of Music Royalties.. It won’t be wrong to say that Music Industry is the petri dish for any technological innovation in the distribution of entertainment content. Any new medium, internet is the first, or now mobile, the early impact of technological innovations bought about by these media are first felt by the Music Industry. Fuelled by explosive growth of Telecom, India is among the few countries in the world where digital music sales, primarily driven by Mobile Value Added Services (CRBT, Ringtones, etc. ), have exceeded physical sales. The way Indian Music Industry is organized is quite different from its counterparts in other geographic regions. The driver of the Indian Music Industry is Film Music, though the contribution of Independent Music Albums cannot be ignored, it’s relatively miniscule. 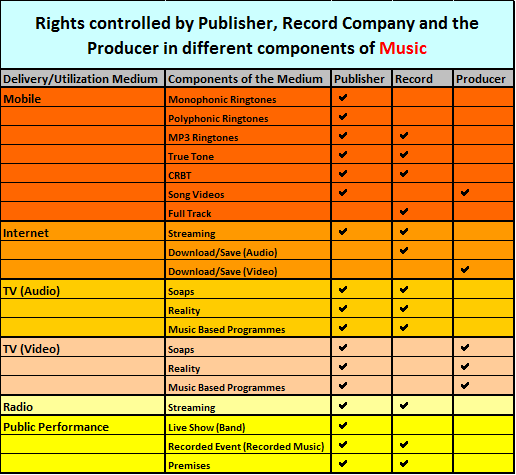 If you are someone who works in the Business Operations function of a Telco, Television, Events, Internet, Advertising or Radio organization and your job involves liaison with Music Labels/Music Rights Holder or ensuring Royalty/License payments to these rights holders, it would be good to know whom do you pay the Royalty/License amounts among each of the three entities viz. Producer, Publisher and the Record Label. Producer: The term Producer in the above context refers to the Producer of a motion picture. 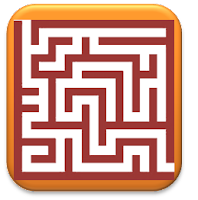 Producer can be an individual or an organized entity. In the Indian context, producer is the one who organizes Music Composer, Lyricist, Shooting Locations, Artists that appear in the Song Video and other paraphernalia that goes into the creation of a song. In usual practice, Producer buys out the rights of the Composers and Lyricist vide a Legal Contract and mutually agreed remuneration. Producer in turn sells this bundle of rights along with Song Videos to the Record Label for a mutually agreed consideration and Marketing Deliverables. Record Label thus assumes the role of Publisher in the Musical and Literary works and the role of Producer for the Song Videos. Publisher: The Wikipedia “http://en.wikipedia.org/wiki/Music_publisher_(popular_music)” definition of a Music Publisher is “music publisher (or publishing company) is responsible for ensuring the songwriters and composers receive payment when their compositions are used commercially. Through an agreement called a publishing contract, a songwriter or composer "assigns" the copyright of their composition to a publishing company. In return, the company licenses compositions, helps monitor where compositions are used, collects royalties and distributes them to the composers. They also secure commissions for music and promote existing compositions to recording artists, film and television." In Indian context, usually the Publisher is associated with Non Film Music Projects and undertakes the job of Production, Marketing, Distribution Arrangements and Monetization. If you would have watched the film “Alvin and the Chipmunks”, the character of “Uncle Ian”, will give you a fair idea of a Publisher’s role. Please note that “Uncle Ian” is not a stereotypical or an ideal Publisher, there is a lot of work put in by the Publishers to make their Artists successfulJ. Disenchanted by the way Indian Music Industry is structured, there is a shift in the way Composers are now cutting deals with Film Producers. There is a section of Composers who do not like to part away with the Musical rights they hold in the composition. Record Label: It is an organized entity that undertakes production, manufacture, marketing/promotions and monetization of music recordings vide various online and off-line distribution channels. It also does talent scouting and development of new artists & manages contracts with various Producers and Publishers. In an ideal scenario as depicted above, the royalty is payable to the Producer and the Publisher. But as I have mentioned above, in Indian context, the Producer acquires the rights of Composers/Lyricist and sells the bundle of Musical and Literary rights to the Record Label. Thus the royalties will be payable to the Record Label. But before you write that cheque in favor of Record Label, please ensure that supporting documents detailing the flow of rights from the Composer/Lyricist to the Producer and from Producer to the Record Label are furnished by the Record Label. Though the above illustrations are ideal scenarios, it should serve well if you ask for the link or supporting documents from the entity that claims the right to the intellectual property for the purposes of granting the License to you. It’s akin to buying a piece of land or physical property, wherein you want to ensure that you are not being sold something that belongs to someone else! Thanks for ths but note you havent mentioned IPRS, which would control performi rights in musical works in India.